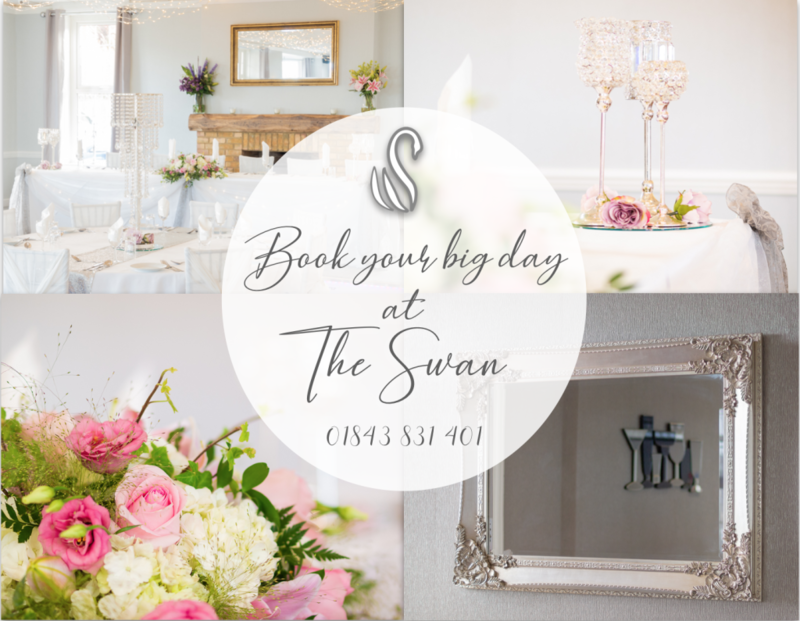 We are delighted to announce that, as of 1st May 2019, The Swan is licensed to hold marriage and civil partnership ceremonies in our beautiful West Bay Suite. If you are looking for a venue along the coast, with stunning sea views, a large modern space that can cater up to 120 guests, and excellent, competitive packages, then you've found the place. Offering the convenience of having your ceremony, wedding breakfast and evening reception under one roof, plus an exclusive bar for you and your guests, The Swan is the perfect venue for your special day. Our dedicated wedding coordinator would love to show you round the venue and discuss your exciting plans. Get in contact by emailing enquiries@the-swan.pub or by phoning 01843 831 401.